We can help unlock the wealth you've worked hard to create. Whether you're ready to sell your business today or planning for the future, you need expert advice, the right team, and a proven strategy. MidStreet is the leading business broker for small to mid-size businesses in Raleigh, Durham, Wilmington, and throughout the southeast. With twenty years of experience and hundreds of successful transactions, our proven process ensures you receive the best possible price and terms when it comes time to exit your business. Trust the brokers who know Raleigh and the surrounding area. We're a local firm with an international reach. Since our founding in 2001, we have never received a complaint of breaching our client's confidentiality. We get paid when our clients get paid. Beware large national firms that charge you thousands in retainers up front. Achieve a higher price. Walk away with more cash. Pay fewer taxes. Ensure confidentiality. Avoid common traps. 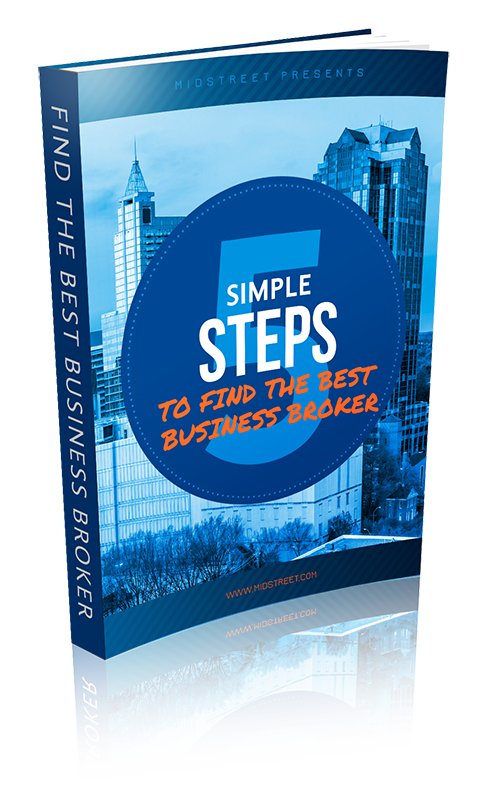 If you're completely new to the process of selling your business, this free guide will give you five actionable steps to find a competent and trustworthy business broker. It's simple - our marketing program attracts more buyers, more offers, and generates a higher price for your business. It's all about creating competition, and no one does it better than we do. It's 100% Free and Confidential. Health problems caused this successful Cary, NC business owner to reluctantly step away after more than 22 years. "It was hard to even imagine selling the company, but I knew realistically it was something I needed to do." After three years of searching, he finally found the right company. "What I was surprised at was some of the companies I looked at had such bad books there was no way to value them." After years in the tax preparation business, Chad Barbour experienced a minor stroke and decided to step away from his multi-unit franchise. "It made sense to sell the business, and I don't regret it one bit." Nearly everyone in real estate knows Bill Gallagher. When the time came to sell, he received an offer he couldn't refuse. After years of building his business, Jim Ashe was finally ready to pursue the ministry... and build custom motorcycles. After growing to 40+ locations, health issues forced Chad Barbour to rethink his goals and pursue a career change. Chuck & Debbie wanted to travel. To get there, they bought a business, ran it a few years & doubled their money. Confidentiality - it's the biggest concern most business owners have when they think about selling their business. Watch out past clients discuss their experiences with confidentiality when selling their business. How Long Does it Take to Sell a Business in 2019? How Much Do Business Brokers & M&A Advisers Charge? 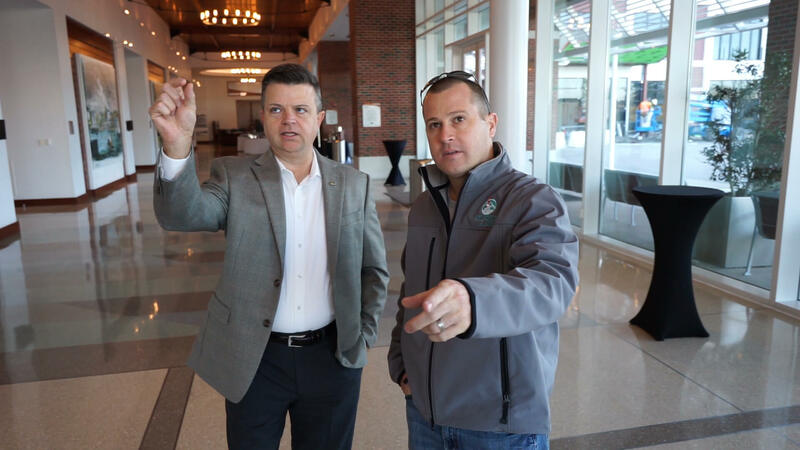 Discuss your business, how to determine it's value, and the best time to sell.